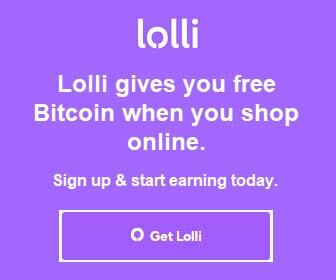 Using the same password for multiple accounts is a 21st-century no-no. 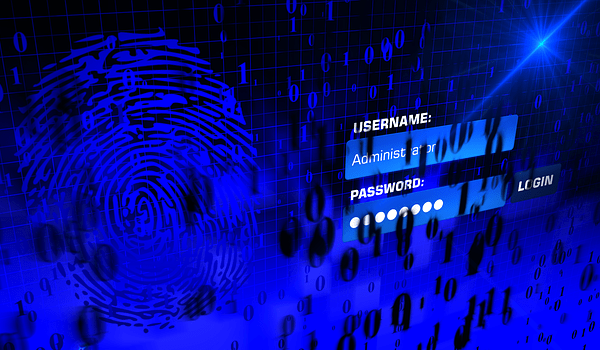 Coming up with a new and different password for every account you have is not only tedious but time-consuming. Shortcuts are helpful, but should not be taken at the expense of your security. 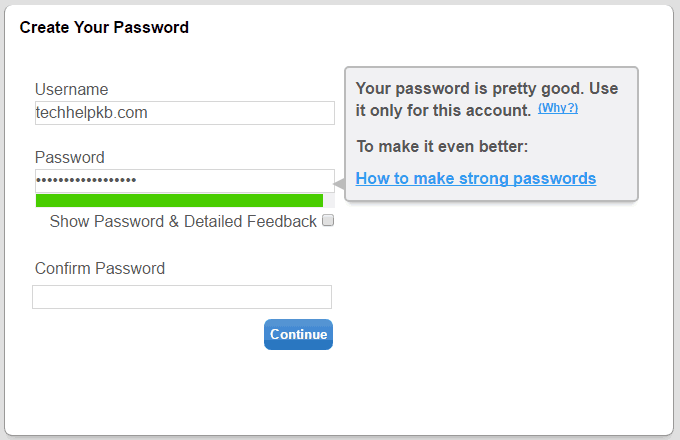 A free new password meter offers feedback and advice so you can create more secure passwords. Researchers from Carnegie Mellon University and the University of Chicago developed a new kind of password meter. The meter is different from traditional password generators because it shows you in real time why your password is bad and suggests how to make it better. 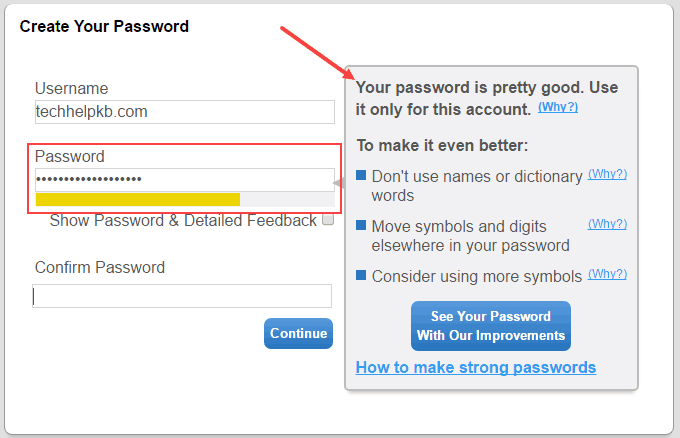 The feedback helps you create a more secure password without making it any harder to remember. Visit the password meter demo page to create a new password. Start typing a password into the Password field. The Username and Confirm Password fields do not appear to impact the password feedback. Once you have input at least 8 characters, the password meter provides real-time feedback about the quality of your password. A password strength indicator changes from orange to green as your password quality improves. Use the feedback to improve the security of your password. 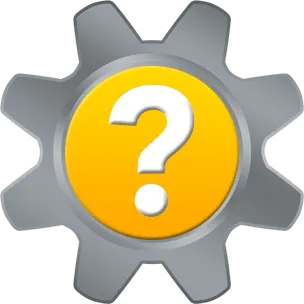 At any time, check the Show Password & Detailed Feedback box to display your password in plain text and specific information about how to improve its quality. 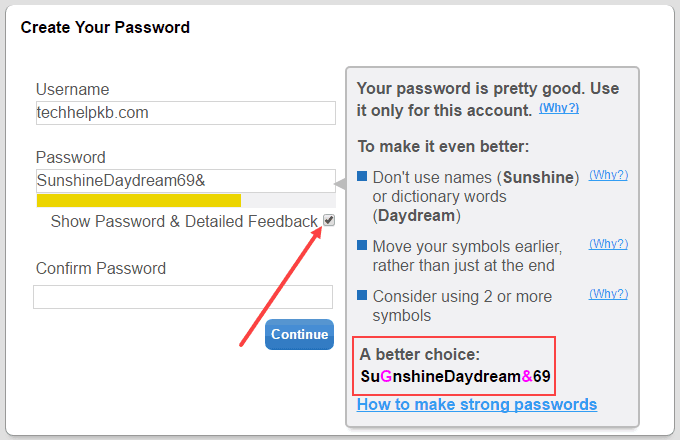 The password meter also displays a better choice based on the password you input. If you copy/paste the better password choice back into the Password field, the password strength indicator will turn green. The password meter is open source, and available on GitHub. Thank you for visiting Tech Help Knowledgebase to learn how a free new password meter offers feedback and advice so you can create better passwords, and improve your online security. If you liked this article, follow us on Twitter @techhelpkb and subscribe to our YouTube channel to keep in the loop.